The future of the EU-Ukraine treaty is not yet secure, as Dutch prime minister Mark Rutte still needs to convince opposition parties to support the deal he clinched at the EU summit on Thursday (15 December). Rutte aims to propose that The Hague goes ahead with ratification of the pact on Friday. The Netherlands is the last EU state to conclude the strategic treaty, which aims to align Ukraine’s economy with the West. It froze ratification after Dutch people rejected it in a non-binding referendum in April, but Rutte and EU leaders on Thursday agreed to attach a Dutch statement to the text as a solution. The statement spells out that Ukraine is not in line to join the EU or protected by EU security guarantees. Ukrainian president Petro Poroshenko welcomed the Dutch statement in a comment on Facebook on Friday, despite its political frostiness. “We call upon The Netherlands to fulfil the relevant procedures to ensure its [the treaty’s] swift entry into force”, he added. The Dutch bill that enacts the ratification needs to be approved by both houses of parliament, and Rutte has no guarantee he will get a majority, however. The Lower House of parliament should be the least difficult - Rutte's coalition has 75 out of 150 seats, with just a single MP needed to secure a majority. It is widely expected that the centrist, pro-EU D66 party will support the deal. 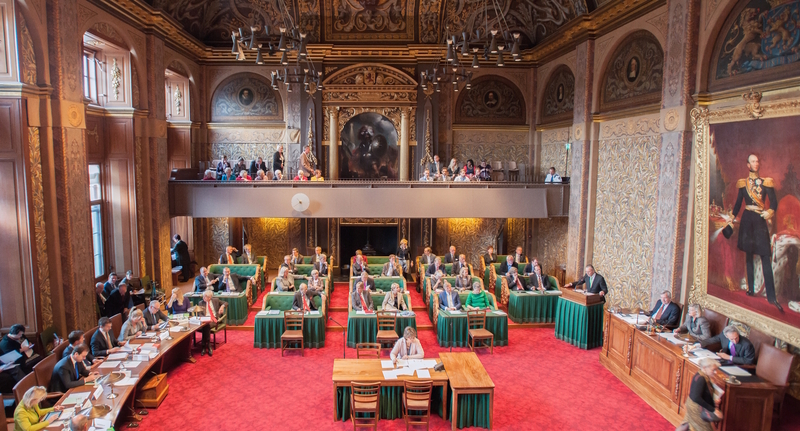 The trouble starts in the Dutch Senate, where Rutte's coalition has only 21 of 75 seats. Even with D66, he would fall seven senators short. Over the past weeks, Rutte has sought to woo the second-largest party in the Senate, the centre-right CDA. But the CDA leader in the Lower House, Sybrand Haersma Buma, has been vocal in his opposition to Rutte's attempt to ratify the treaty, despite the Dutch No vote. 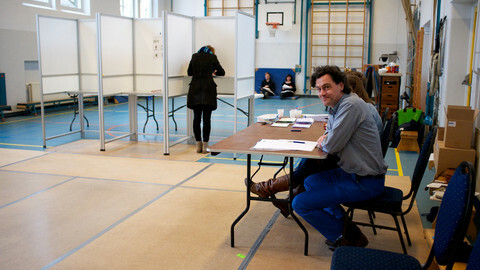 Buma reminded radio listeners on Friday that 4 million Dutch people had made the effort to vote on the Ukraine question. 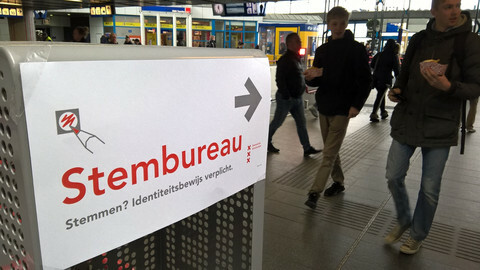 “They really had the idea: We can answer that question,” he told Business News Radio (BNR). The centre-right MP called it “crippling” for people's confidence in politics to ignore their choice. He also called the deal that Rutte clinched in Brussels no more than an “inserted sheet” which did not change the EU-Ukraine agreement. He said there was “a big chance” his party would reject Rutte's attempt in the Lower House, but noted party members in the Senate “will make their own judgement”. Rutte's hope is that he can convince some of CDA's 12 senators. Some may choose to support the deal out of personal convictions. 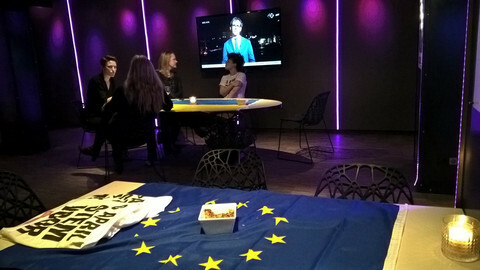 Many are pro-EU, including former MEP Ria Oomen and former minister for European affairs Ben Knapen. Senators may also feel compelled to listen to appeals from their European political family, the powerful European People's Party (EPP). 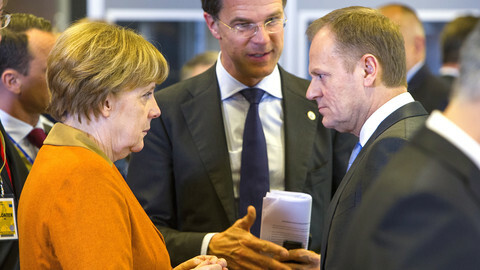 At a press conference after the summit, EU Council president Donald Tusk (EPP) made a plea to the Netherlands. 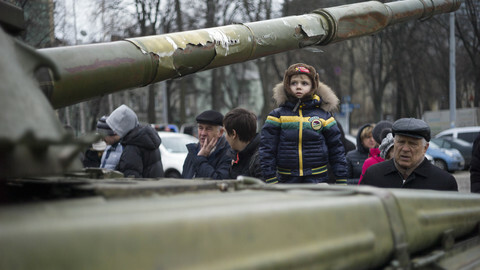 “The ratification is important not only for Ukraine, but also for Europe's geopolitical standing and credibility,” he said. Meanwhile, if the Dutch parliamentary procedure drags out, it could bring the Ukraine vote close to general elections in March 2017. “The timeline is difficult to predict,” said Buma. “It is quite possible that both chambers are done before the elections, it is also possible that even the Lower House does not make it on time,” he said. 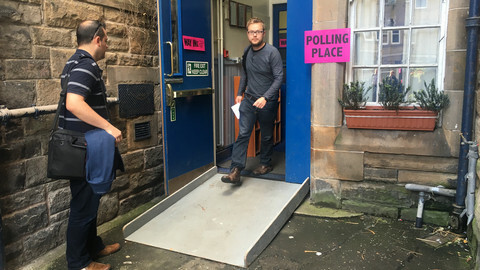 In a pre-election climate, even the Lower House vote could be a near-run thing. On Saturday (17 December), the left-wing Greens, which have four seats in both the Lower House and the Senate, announced they would support the deal. That means the deal has a majority in the Lower House. Rutte still needs to find the support from three senators. EU leaders agreed on a text that clarifies what is in, and what is not in the EU-Ukraine association agreement. But Mark Rutte noted he has no guarantee Dutch parliament will support the deal. The Slovak PM warned his colleagues to stop calling referendums on domestic issues that put the EU and the euro in jeopardy.